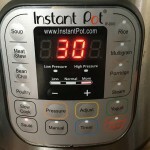 Wondering how to use your instant pot? If you’ve hopped on the Instant Pot train and still have it collecting dust in your pantry, you are not alone. Yes, there is a learning curve. But once you start learning how to use Instant Pot, you’ll never look back. 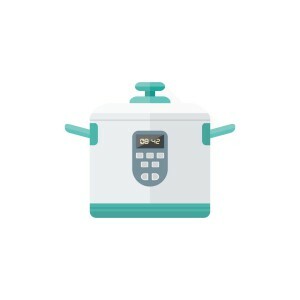 If you’re still not sure what an Instant pot is – it’s an all in one kitchen appliances that works as a slow cooker, a pressure cooker, and a rice cooker. Once you learn how to use the pressure function, you’ll never go back to slow cooking! I’ve put together a list of questions with pointed resources for Instant Pot beginner tips. I hope it helps! Why are there so many buttons and how do I use them? The buttons on the Instant Pot are confusing. To start, you need to get comfortable with 3. For now, pretend the others don’t exist. Press the manual button and you can use the – and + buttons to add or reduce time. The manual button lets you adjust the amount of pressure cooking time. You’ll learn how much time for what as you experiment with the pot. Press the saute button, then press adjust to set the temperature. The saute button allows you to heat the instant-pot insert so that you can saute onions or veggies, reduce sauces or sear meat. The adjust button lets you adjust how hot you want the saute heat to be. You want low or medium for cooking veggies, high for searing meat. The saute button allows you to use the Instant Pot like a stove burner. This way you don’t have to dirty two pots. It can also be used after you’ve brought a recipe to pressure. Once you’ve released the pressure, you’ll see if you have extra liquid that needs to be reduced. If so, turn the saute button on and reduce until the desired consistency. Searing meat in the Instant-Pot is not as good as using the stovetop, but it works better than I expected. Press the saute then adjust button to the highest setting, let it heat up 4-5 minutes, and sear your meat like you would on the stove top. The pressure cooker needs time to come to pressure. When it’s full, it takes quite a bit of time. The less full it is, the more quickly it comes to pressure. But if you want to speed up the process use the saute button to heat your ingredients. Once hot, press cancel, and choose the manual button and set to desired time. Don’t mean much: the soup, stew, rice, poultry, bean buttons are merely the suggested cook times for each item. But they’re a solid guide when you don’t know where to start. What are the best things to cook in your Instant Pot? First, anything you can make in a slow cooker can be made in the Instant Pot. This is a great article for learning how to convert recipes. We took this soup recipe and threw everything in the Instant Pot 5 minutes and it was incredible. The best chicken broth you’ll ever make with the least effort. Veggie stock and beef stock too. Risotto!! It makes excellent risotto without having to stir! You can even use it to make perfect caramelized onions in less than 30 minutes! The recommended rule of thumb is 1 cup of water. How long do things REALLY take to cook? I love to brag about how a soup takes 5 minutes to cook. It does, but only once the Instant Pot reaches pressure. This can take 5 minutes or it can take 15, depending on how much liquid is in your pot and how hot that liquid is. As soon as you can see the time on the cooker, you know it’s up to pressure and counting down. Once it’s cooked, you can release the pressure valve to save time. Why is it so messy when I release the pressure? You can release the pressure (moving the lid valve from “sealing” mode to “venting” mode once the food has finished cooking. You can also let it depressurize naturally by waiting 15-20 minutes. The lid will be locked until the pressure is released. Items that have a lot of liquid – soups, stews, beans – have a tendency to be pretty messy when releasing the pressure. If you’re in a rush, put a towel a little above the lid (so you don’t block it completely) and let it release. If you have time, let is release naturally. Where do you find recipes to cook in your pressure cooker? Nom Nom Paleo has some excellent Instant Pot recipes. 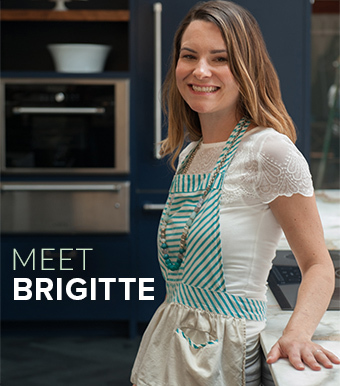 The Kitchn is a decent resource. 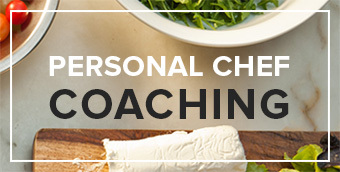 Hip Pressure Cooking is a comprehensive resource. 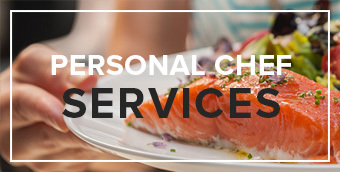 And Serious Eats is great as well. I made this mushroom risotto last week and it was perfection. Why should I use my Instant-Pot over the stovetop/oven? Less work: with things like chicken stock, you don’t have to monitor the temperature, spending hours skimming. And for things like risotto, you don’t have to stir to get a creamy result! Some ingredients take longer to cook than others. It’s perfectly okay to break up the cooking process. For example, if you’re making a stew, the meat will cook more quickly than the veggies. You can bring to pressure for 25, release the pressure, and put the veggies in for another 10. Because your recipe is already hot, it doesn’t take that much time to get it back to pressure, and your veggies won’t be mush. Yes, you can wash the lid in hot soapy water. And you can wash the Instant Pot insert in the dishwasher. Want to learn more advanced Instant Pot skills? In the spring of 2018, we are launching The Home Chef project, a course that blends how to cook healthy weeknight meals with chef techniques, nutritionist knowledge and the Instant Pot. To learn more, click here and get on the list when we launch! 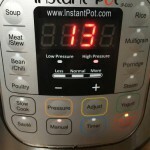 If you’ve liked this post on Instant pot beginner tips please share.